Free Shipping Included! 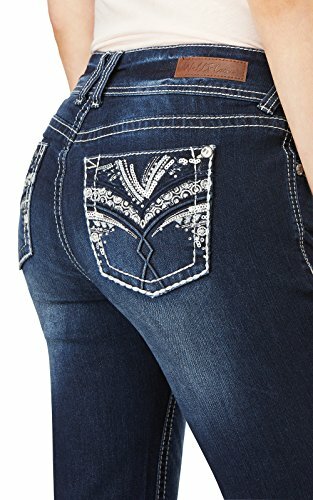 WallFlower Women's Juniors Luscious Curvy Embellished Bootcut Jeans in Kyle, 9 by WallFlower at Boot Bag. MPN: WFM10500B-Z130-9. Hurry! Limited time offer. Offer valid only while supplies last. These Luscious Curvy Bling Bootcut Jeans feature double button closure, embellished pockets and a contoured waistband that hugs your curves.